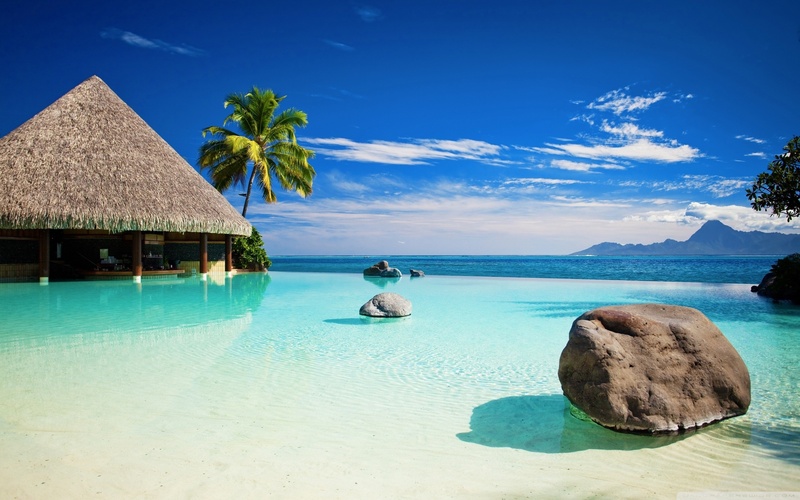 When one thinks of the Maldives, a number of images spring to mind: sparkling blue lagoons, infinite white beaches and luxurious lodges on the edge of the ocean. As a frequented destination for the most exclusive of honeymooners, you would be forgiven for believing that this collection of Indian Ocean islands is the epitome of tranquillity. But this small archipelago is currently embroiled in a legal battle based on the current government’s refusal to release former president Mohammad Nasheed, who has been controversially imprisoned having been found guilty of terrorism. 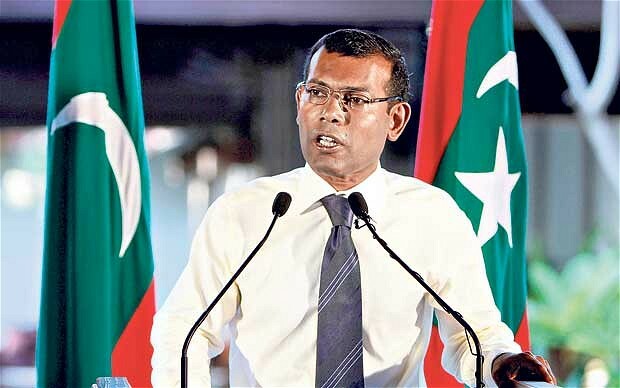 As a young man Nasheed worked as a journalist and activist, repeatedly facing arrest and detention by the former regime for challenging its repressive nature. Nicknamed ‘the Mandela of the Maldives’, he entered politics in 2003, forming the opposition Maldivian Democratic party. In 2008 he became the Maldives’ first democratically elected leader in what many saw as a breakthrough for human rights and democratic principles in the small tropical republic. But in February 2012 he was forced to resign at gunpoint by the Maldivian police service in a coup that labelled him a terrorist for ordering the arrest of a corrupt judge. Amnesty International labelled his subsequent thirteen-year prison sentence “a travesty of justice”. Two famous faces are drawing unprecedented levels of media attention to this case: Amal Clooney, London-based human rights lawyer is fighting on behalf of Nasheed to secure his release. Clooney is a barrister at Doughty Street Chambers, specialising in international criminal law and human rights. In 2015 alone she has worked on a number of high profile cases. These include the fight for Al Jazeera journalist Mohammed Fahmy’s release from prison in Egypt and the defence of Armenia in a case against Dogu Perinçek, a Turkish politician who was convicted in 2005 of denying the Armenian genocide. Clooney has recently attracted criticism from the Conservative Justice Minister, Edward Faulks, who has suggested that she is only assigned to such high profile cases because of the publicity her marriage to actor George Clooney inevitably brings. Clooney’s legal career, however, long predates her marriage and would leave any lawyer tremendously impressed, if mildly envious. Since becoming a barrister in 2010, Clooney has worked on a number of UN commissions, including being appointed advisor to the Special Envoy to Syria and counsel to the UN’s 2013 Drone Inquiry. That is not to mention her earlier success in New York, where she worked for law firm Sullivan & Cromwell, the UN Special Tribunal for Lebanon and the International Criminal Tribunal for the former Yugoslavia. On the other side of the fight is Cherie Blair, wife of ex-prime minister Tony Blair and head of Omnia Strategy, the law firm hired to advise the current Maldivian government of President Abdulla Yameen. Yameen’s brother, Maumoon Abdul Gayoom, ruled the Maldives with an iron fist between 1978 and 2008, curbing democracy and violently repressing his opposition. Many would not be surprised to hear of Blair’s involvement with such a case, given what the Independent calls “the uncanny attraction of the Blairs to despots from Beijing to Qatar by way of Kazakhstan”. 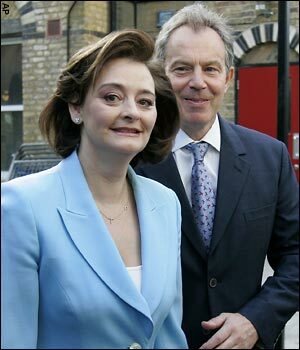 This refers to the controversial work of her husband and his company, Tony Blair Associates, in advising known dictators and corrupt governments on political “reform” and Public Relations. Victory for democracy and human rights in the Maldives will neither be easy nor simple. If Clooney wins her case and Nasheed is released, his return to power is far from guaranteed. The military and the police are largely loyal to former and current presidents Gayoom and Yameen, making an immediate return to true democratic governance highly unlikely. A dangerous Islamist undercurrent also runs through this island paradise, which is gaining a reputation as a fertile recruiting ground for jihadists. 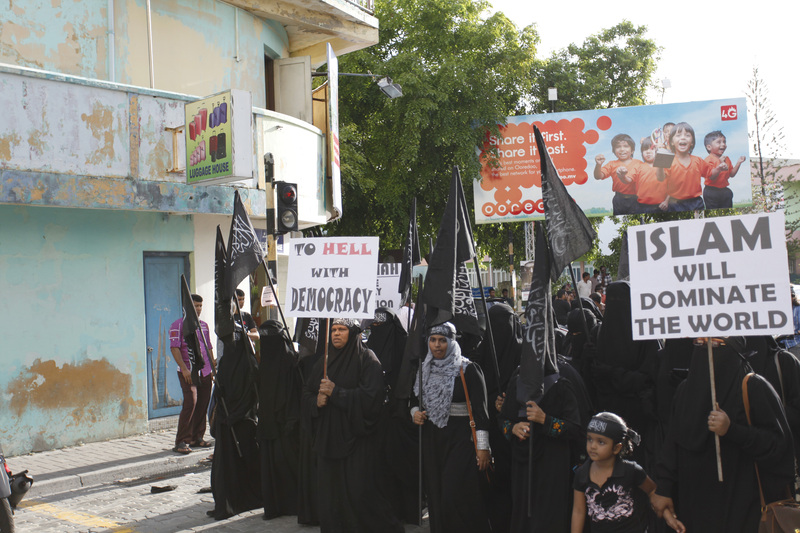 200 Maldivians – out of a population of only 350,000 – have already travelled to Syria to join Daesh (ISIL), causing concern among foreign governments and intelligence agencies. Even more worryingly, radical Islamism exists in the corridors of power, with many in the military and police forces adhering to Wahhabi-influenced ideology according to deposed president Nasheed. Tackling the problem of radicalisation – an extraordinary feat for any willing government – could therefore prove impossible in a country with little or no motivation to do so. Yet in the face of all these concerns, one thing is clear. Nasheed’s continued imprisonment is not just a question of one man’s freedom. It represents the choking off of political freedoms and human rights across an entire nation. Freedoms and rights for which Nasheed, Clooney, and countless others have dedicated their lives to fighting. A battle is ensuing. A battle between freedom and repression, democracy and authoritarianism, moderation and extremism. A battle that threatens to disturb the perfect stillness of the clear blue waters of the Maldives.